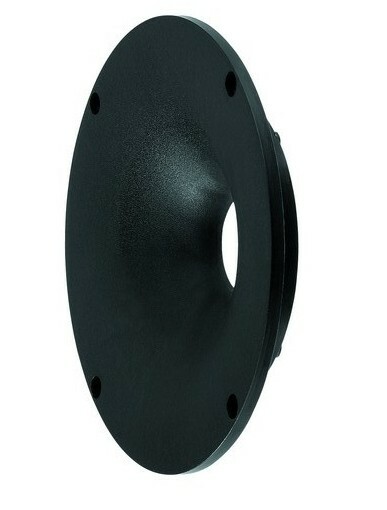 Due to its large dome diameter of 30mm and the high efficiency the DT-300 is destined for higher sound pressure levels and lower crossover frequencies. Perfectly suitable for 2-way systems of high volume levels with a crossover frequency of >2kHz, available at a very competitive price. 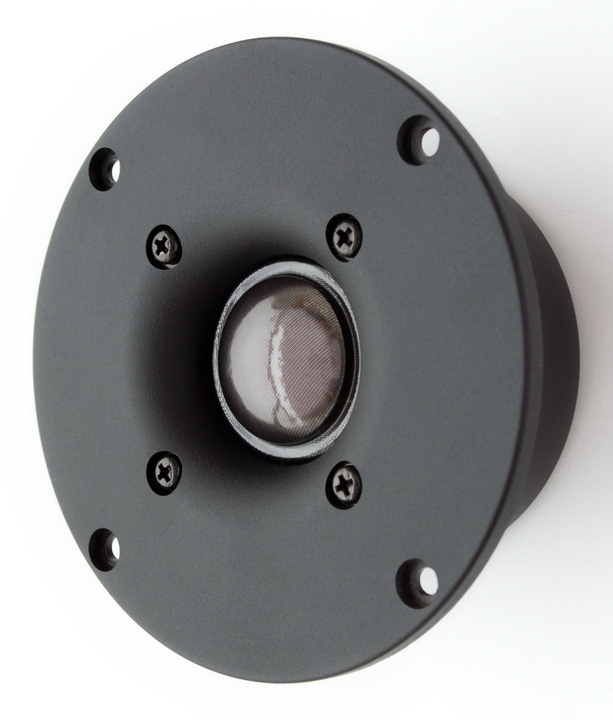 The 169mm WG-300 waveguide is custom made for the DT-300 tweeter. Slightly lower Fs than the official specification. Good consistency between the two tweeter samples. 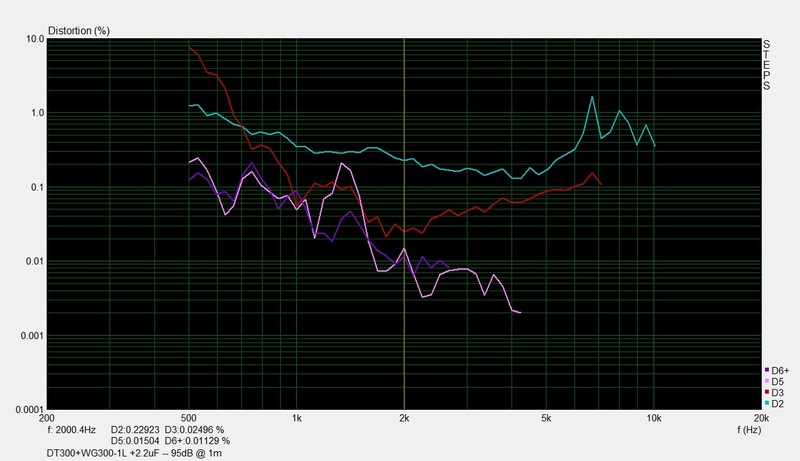 Double impedance peaks, but but good consistency between the tweeter samples in their usable frequency range. Baffle size (WxH): 24×35cm with 18mm round-over. Driver position: Mounted on center-line with driver unit center 8,8cm from the top of the baffle. Mic position: 1m distance, on tweeter-axis. Smoothing: 1/24 octave smoothing applied. Top left: Frequency response on-axis (Blue=sample1, Red=sample2). Top right: Frequency response 15deg off-axis (Blue=sample1, Red=sample2). For a tweeter in this price range it has a very good consistency and the tweeter samples measures virtually the same. 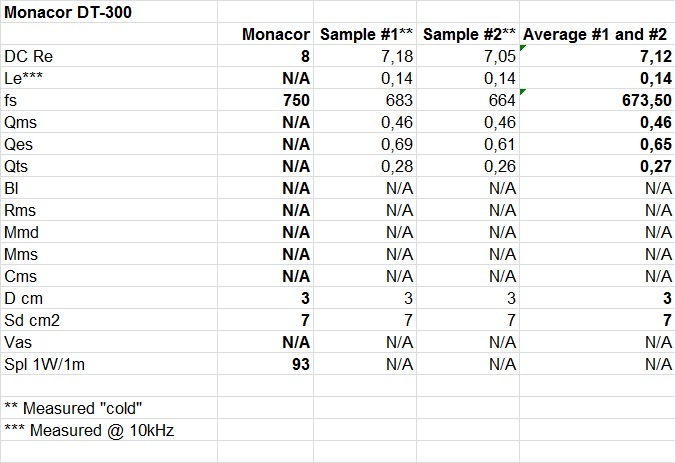 Besides the dip at 6.8kHz it has a smooth frequency response. The waveguide raises the level about 8-10dB at 2kHz. The tweeter and waveguide combo can be equalised by a small capacitor. That means that distortion may be significantly reduced in the crossover region since the tweeter dome doesn’t need to move much because of the acoustic amplification from the waveguide. 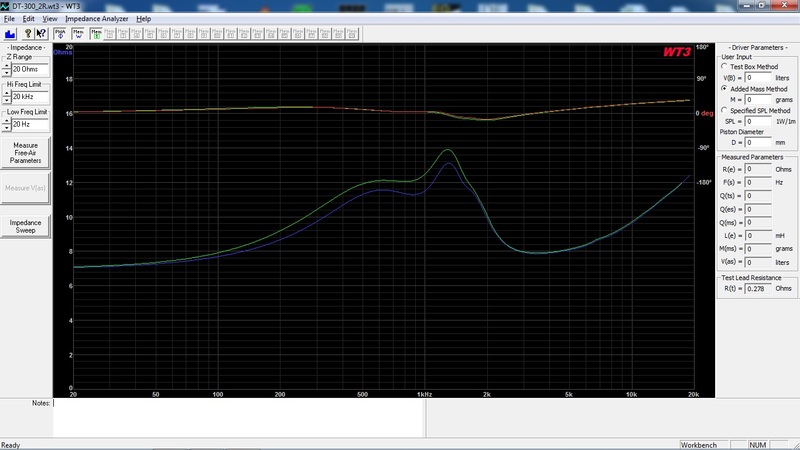 The distortion measurements are done in near-field and the amplifier output level was adjusted for each driver so that the fundamental is 95dB at 1m. This setting simulates a high listening level. A 2.2uF cap is used for the tweeter+waveguide combo measurement. Rather high second-order distortion compared to the odd-order distortion profile. Lowest recommended cross-over point is 2kHz.